There’s more genuinely enthusiastic praise in the December Issue of Shindig!, a magazine that covers the weird, hip and the wonderful in the popular music world. According to the writer Grahame Bent in his ‘Waxin’ Celluloid’ column. 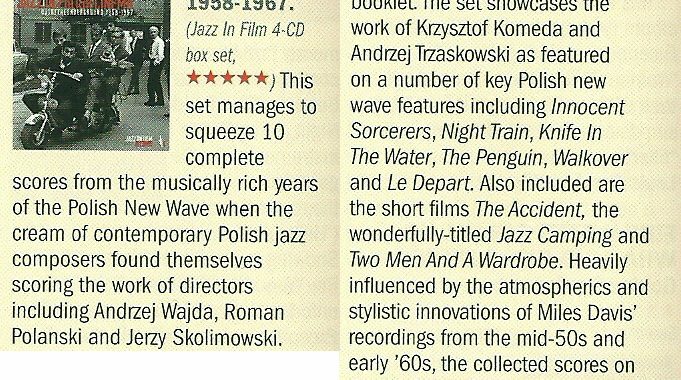 Jazz in Polish Cinema is, ‘arguably the single most impressive soundtrack artefact of the moment’ and the ‘stunning compendium’ gets a five star rating!